Mr. Charles Franklin Bartlett, age 80, of Stockbridge Georgia passed away Friday, August 31, 2018 at his daughter’s residence. Mr. Bartlett was born in Waco, Georgia on June 29, 1938. He is preceded in death by his wife of over 57 years, Janet McKnight Bartlett; parents, Robert F. and Mary D. Bartlett; brothers, Alvin L. Bartlett and Terry W. Bartlett. Mr. Bartlett was an entrepreneur from an early age. He owned several successful businesses such as a TV repair shop, pool hall, recording studio and several trucking companies. He was known for being a hard worker. 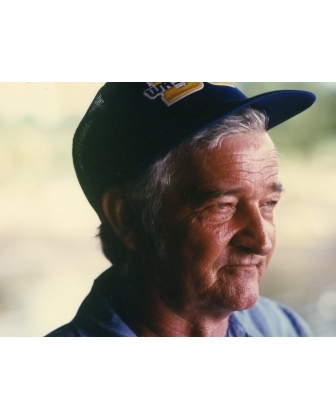 Besides his family, his greatest love was going to his place on Lake Chatuge. He loved to fish and drive the boat really fast, cut donuts on the lake and “drag” the kids behind. He is survived by his son and daughter in law, Chick and Nancy Bartlett of Sugar Hill; daughter and son in law, Lisa and Lee Shiflett of McDonough; grandson, William Shiflett; son by choice, Dennis Connolly; brother, Maynard E. Bartlett; sisters, Betty B. Underwood, Linda B. (J.W.) Leonard, Martha B. Griffin and several nieces and nephews. Visitation for Mr. Charles Franklin Bartlett will be on Friday, September 7, 2018 from 6:00 pm until 8:00 pm at Conner-Westbury Funeral Home. The funeral service will be on Saturday September 8, 2018 at 11:00 am in the chapel of Conner-Westbury funeral home.